Point Shot: Johnny Gaudreau's Excellent Passing Night - The Point Data-driven hockey storytelling that gets right to the point. In a 7-2 win over the Vegas Golden Knights, Johnny Gaudreau put on yet another display of his passing ability. Johnny Hockey completed seven passes to the slot, one shy of his single-game high of eight, to retake the league lead in the category away from Connor McDavid and Claude Giroux. Gaudreau recorded three assists on the night, all on passes to the slot. The first assist opened the scoring when Gaudreau threaded a pass through traffic to find Matthew Tkachuk in the slot for a powerplay goal. On the second assist, he picked up a loose puck off a failed Vegas pass and caught the defense off balance before passing to Sean Monahan in the slot who one-timed what turned out to be the game-winning goal. Monahan leads the NHL in slot shots, a perfect complement to Gaudreau’s passing. 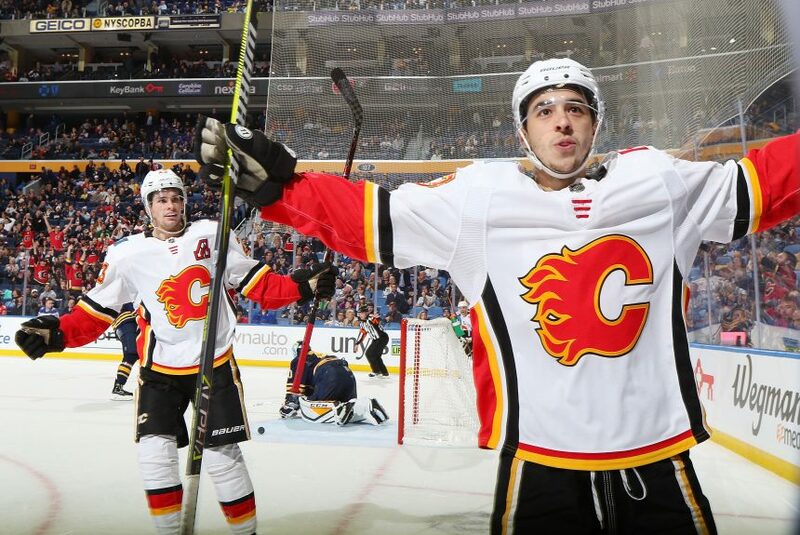 Gaudreau also added a goal and a third assist to cap off a 4-point night and a dominant win for Calgary. He now has 17 apples for the season, tied for 9th in the NHL. Don’t expect the assists to stop rolling in as long as he keeps sending so many pucks to the middle of the ice for Monahan, Tkachuk and other Flames to find.